Learn more about the new 2017 report by GOLD (Global strategy for the diagnosis, management, and prevention of chronic obstructive pulmonary disease) and all the new practical tools proposed to you to facilitate reading and access. Since 2001, the Global Strategy for the Diagnosis, Management, and Prevention of Chronic Obstructive Pulmonary Disease has been a valuable resource for healthcare professionals. Freshly updated for 2017, the latest edition of the Global Strategy document is the premiere evidence-based reference tool for the implementation of effective disease management plans, and represents the current best practices for the care of people living with COPD. This is a colossal work with a new consensus based on new evidence and a personalized therapeutic, accurate and more focused approach attempt. New in this major update is a revised and improved ABCD assessment tool, which now places more emphasis on a patient’s symptom burden when evaluating disease severity. In addition, new recommendations concerning ongoing self-management and education programs, a more stepwise approach to the use of inhaled corticosteroids, and enhanced outpatient transition criteria are presented. The Global Strategy also now recommends the use of interprofessional care management throughout all levels of care, and provides new evidence for pulmonary rehabilitation and palliative care. GOLD has recently facilitated the access and reading by offering simplified pocket guides and laminated cards as well as the full report. Evidence-based strategy document for COPD diagnosis, management, and prevention, with citations from the scientific literature. A quick-reference guide for physicians and nurses, with key information about patient management and education. 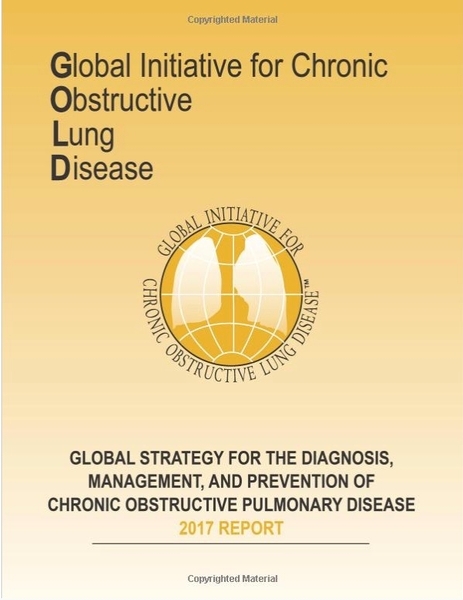 This fold-out pocket card presents essential clinical information from the GOLD Report, Global Strategy for the Diagnosis, Management, and Prevention of COPD in a convenient, easy-access format. This document developed by the Science Committees of both GINA and GOLD, provides an approach to distinguishing between asthma, COPD and the overlap of asthma and COPD. Two laminated cards with key tables are included. 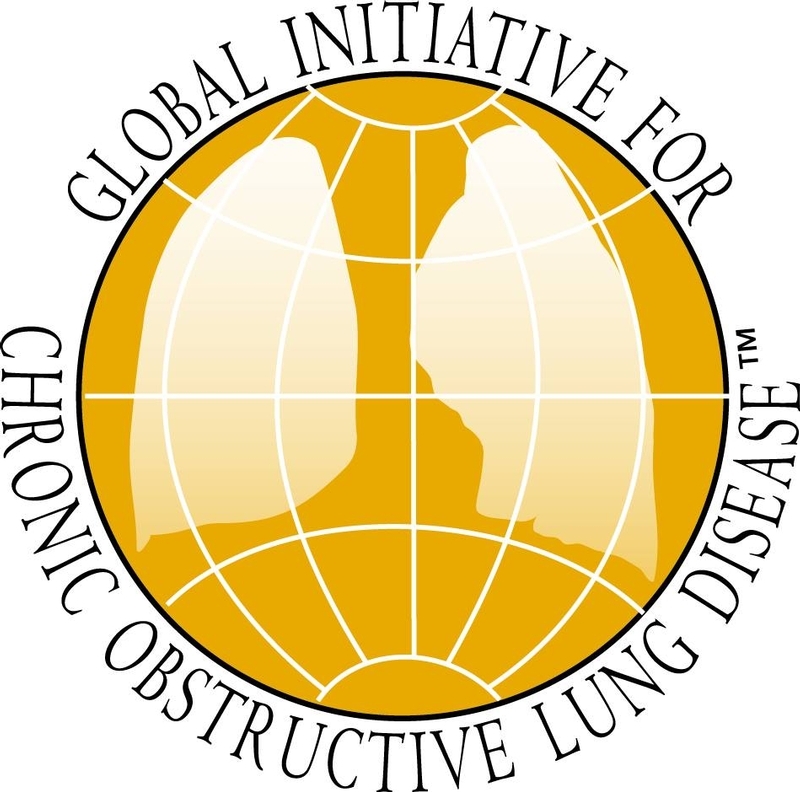 • 2017 GOLD App – Easy access the Global Initiative for Chronic Obstructive Lung Disease (GOLD) 2017 Reports at the point of care and use interactive tools such as ABCD assessment tool, mMRC Dyspnea Scale, CAT assessment, treatment algorithm and many more. The app allows users to bookmark important pages and takes notes on key information. • GOLD 2017 CME Center - Faculty Roundtables offer a multimedia forum to keep health professionals informed of the latest advances in managing patients with Chronic Obstructive Lung Disease. Both CME and non-CME education is directed at the healthcare community in support of integrated learning. As you can see multiple learning opportunities are offered to you in order to fit your specific needs. Enjoy your reading!! !